Morah Katie: Looking at this bug what do we already know? Matan: It has 6 legs. Aura: It has 3 body parts. Morah Katie: Can you guess what bug we will be learning about this week? I know I am not an artist, but I did my best to draw this particular bug. Morah Katie: It is! Thanks Lochlan, I feel so acknowledged. We are going to learn about dragonflies and how they fly. We learned that dragonflies have 2 pairs of wings. They can move their wings in two different directions, one set going forward and one set going backward. Morah Katie: It allows them to hover in one spot while they hunt for pesky mosquitoes and swoop down to grab one, or fly side to side or straight up. It even allows them to fly backwards! It can be difficult to imagine the wings doing this. I shared a slow motion video which allowed the kids to see the wings moving in their dynamic fashion and so differently from other flying insects. We had an interesting visitor in class this week. Mason: Wow what is that? Morah Katie: How many legs does it have? Morah Katie: How many body parts does it have? Olivia: Well it doesn't have 3, it looks like one long one. Morah Katie: It looks like it is a newt of some kind. How do you think it got into the classroom? Olivia: Maybe it came from the vents the in the ceiling? Mason: Or maybe it came through the door. Lochlan: Maybe it was in a plant. 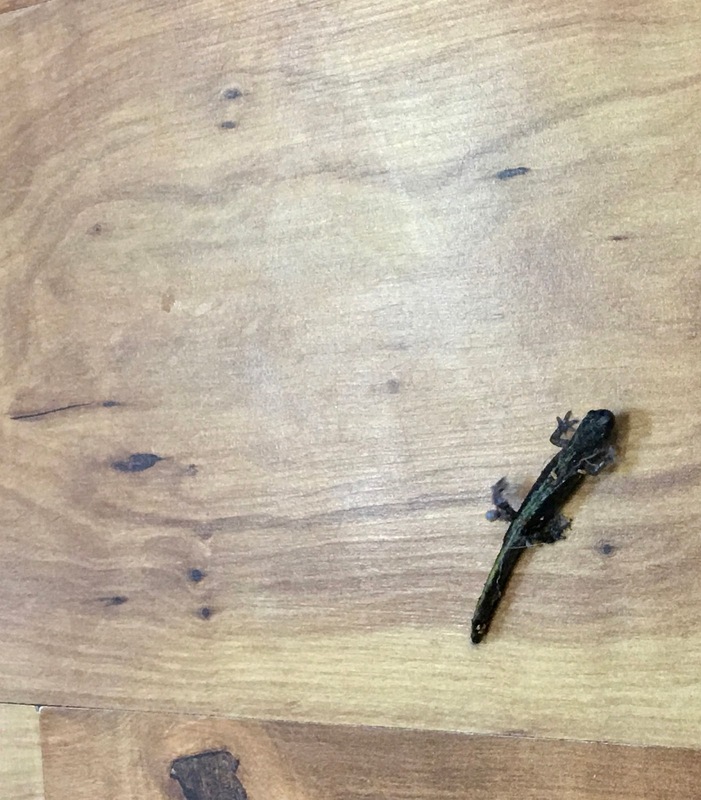 We escorted it outside so it could find a proper home for a newt. We had a fun and engaging week and I look forward to catching fireflies with my preschool friends next week.